London, United Kingdom: Michael Joseph, 1972 Book. Near Fine. Hardcover. 1st Edition. First UK Edition, First Printing. This is a true first edition, first printing (first impression) with no statement of reprint to the copyright page therefore indicating a true first print. Near fine in a near fine priced jacket, very light spotting to the text block else fine and unread. .
London, United Kingdom: Heinemann, 1977 Book. Near Fine. Hardcover. 1st Edition. First UK Edition, First Printing. This true first edition, first printing (first impression) with no reprint statement o the copyright page which indicates a true first print in a near fine Jacket which has no fade to the spine. A unread copy and a superior example of a book that is normally found in poor. Booker prize winner in 1977..
London, United Kingdom: Collins, 1923 Book. Illus. by Warwick Reynolds. Very Good +. Hardcover. 1st Edition. First UK Edition, First Printing.8vo. 301pp + viii publisher's catalogue at rear. Original Green cloth, light fade to top and edge of the rear board. Clean unmarked pages, With a frontispiece and four plates by Warwick Reynolds. Light spotting to the top of the text block,, dust jacket, a little soiled with short closed tears and nicks, chip to top front corner, . Williamson's scarce fourth book, of which 600 copies were printed,. Extremely uncommon in original jacket. London, United Kingdom: Orion, 2013 Book. New. Hardcover. Signed by Author(s). 1st Edition. First UK Edition, First Printing. This is a true first edition, first printing (first impression) with a full numberline beginning with  to the copyright page to indicate a true first print. 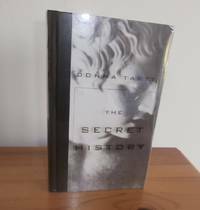 Slipcased Edition one of 500 numbered and signed copies..
New York, USA: Atlantic Monthly Press, 2011 Book. New. Hardcover. Signed by Author(s). 1st Edition. First American Edition, First Printing. This is a true first edition, first printing (first impression) with a full numberline beginning with  to the copyright page to indicate a true first print. Slipcased Edition from Powell's Books Indiespensable Series, Volume 28. SIGNED by Alice LaPlante to the title page. A collectors copy..
New York, USA: Harper, 2011 Book. New. Hardcover. Signed by Author(s). 1st Edition. First American Edition, First Printing. This is a true first edition, first printing (first impression) with a full numberline beginning with  to the copyright page to indicate a true first print. Slipcased Edition from Powell's Books Indiespensable Series, Volume 27. 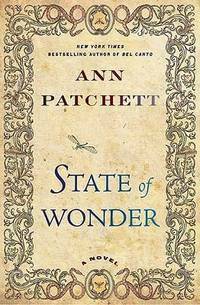 SIGNED by Ann Patchett to the title page. A collectors copy..
Baile Atha Cliath, (Dublin): Oifig Diiolta Foillseachain Rialtais, 1938 Book. Good. Hardcover. 1st Edition. First Edition, First Printing. First edition in Gaelic,8vo 410 p. A good unread copy in slightly marked original blue boards. Small name to the front end page. The jacket is present with both flaps missing and loss to the bottom corner and upper panel. Very uncommon even when in a poor incomplete jacket, which is now protected in mylar. New York, USA: Spiegel & Grau, 2013 Book. New. Hardcover. Signed by Author(s). 1st Edition. First American Edition, First Printing. This is a true first edition, first printing (first impression) with a full numberline beginning with  to the copyright page to indicate a true first print. Slipcased Edition from Powell's Books Indiespensable Series, Volume 38. SIGNED by Domenica Ruta to the title page. A collectors copy..
London, United Kingdom: Harvill/ Harper Collins, 1992 Book. Fine. Hardcover. 1st Edition. First UK Edition, First Printing. This is a true first edition, first printing (first impression) with a full numberline beginning with  to the copyright page to indicate a true first print in a fine Dust Jacket. Unread copy, clean pages and a tight binding.The author's very uncommon first book and especially so in fine condition. .
London, United Kingdom: Faber & Faber, 2018 Book. As New. Hardcover. 1st Edition. First UK Edition, First Print. A true first edition, first impression in a as new unclipped first state jacket - with no mention of the Booker prize. A full number line beginning with  to the copyright page as called for. As new unread copy. Very uncommon first printing of the 2018 Man Booker winning novel..
London, United Kingdom: Jonathan Cape, 1986 Book. Near Fine. Hardcover. Signed by Author(s). 1st Edition. First UK Edition, First Printing. This true first edition, first printing (first impression) with no statement of reprint to the copyright page. 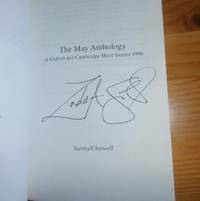 SIGNED opposite the title page as follows [It was a well planned and well done interview, Thank You, William Wharton]. 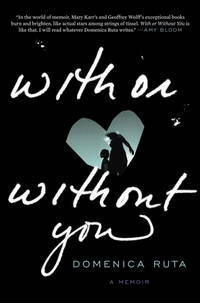 London, United Kingdom: Harvill/ Harper Collins, 1992 Book. Very Good +. Hardcover. 1st Edition. First UK Edition, First Printing. This is a true first edition, first printing (first impression) with a full numberline beginning with  to the copyright page to indicate a true first print in a near fine Dust Jacket with light fade to the spine. Unread copy, tight binding, foxing to the top, bottom and fore edge of the text block .The author's very uncommon first book..
London, United Kingdom: Picador, 2015 Book. New. Hardcover. Signed by Author(s). 1st Edition. First UK Edition, First Printing. This true first edition, first printing (first impression) with number  to the copyright page which indicate's a true first print in a new Dust Jacket. Signed by Hanya Yanagihara to the title page. 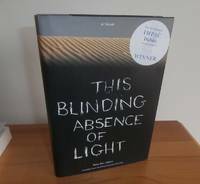 Shortlisted for the ManBooker prize 2015. New York, USA: New Press, 2002 Book. As New. Hardcover. Signed by Author(s). 1st Edition. First UK Edition, First Printing. This true first edition, first printing (first impression) with the number "1" to the copyright page to indicate a true first print in as new Jacket. SIGNED by Ben Tahar Jelloun to the title page. 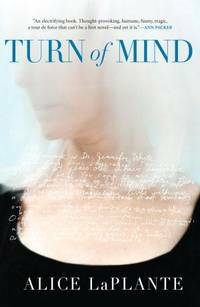 Winner of the Prix Goncourt and the Dublin International Impac Literary Award..
New York, USA: Alfred A. Knopf, 1992 Book. Near Fine. Hardcover. Signed by Author(s). 1st Edition. First American Edition , First Printing,This is a true first edition, first printing (first impression) with, 'First Edition' to the copyright page as called for in the original near fine acetate dust Jacket. Signed by Donna Tartt to the half-title page. Laid in is the ticket to the event where this book was signed. Light rubbing to the jacket, small mark to the fore-edge of the text block, clean pages and a tightly bound copy..
London, United Kingdom: Fourth Estate, 2017 Book. Near Fine. Soft cover. Signed by Author(s). 1st Edition. First UK Proof Edition This is a true first edition, first printing (first impression) copy, unread with slight curling to bottom two corners. 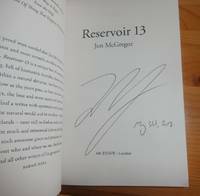 SIGNED and dated by Jon McGregor to the title page. [Jon McGregor may 31st, 2018]. London, United Kingdom: Varsity/Cherwell, 1996 Book. Near Fine. Soft cover. Signed by Author(s). 1st Edition. First UK, First Print. This is a true UK first edition (First Impression), a small format paperback original containing the first appearance of Zadie Smith in print. Signed by Zadie smith to the title page. A near fine to fine unread copy. .
London, United Kingdom: Fourth Estate, 1995 Book. Near Fine. Hardcover. Signed by Author(s). 1st Edition. First UK Edition , First Printing. True first UK edition . Very Light fade to the spine of the jacket otherwise nearfine and unread. Signed by the author to the title page. [E. Annie Proulx]. London, United Kingdom: Fleet, 2016 Book. New. Hardcover. Signed by Author(s). 1st Edition. First UK Edition, First Printing. 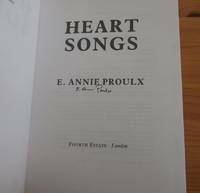 This is the UK true first edition, first printing (first impression) One of only 100 copies produced, of which this is number 91/100. Winner of the National Book Prize, The Pulitzer Prize and the Arthur C Clarke Award also recently long-listed for the 2017 Man Booker Prize. 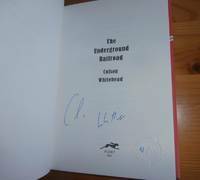 Signed by the author Colson Whitehead to the title page. Dublin, London: Tuskar Rock/London, 2018 Book. New. Hardcover. Signed by Author(s). 1st Edition. First UK edition, first printing (first impression) One of 26 lettered copies signed and dated by the author. 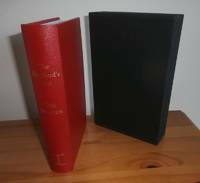 Fully bound in red leather and contained in a black slipcase. Signed to the limitation page [ Tim Winton,15th June 2018].